The monthly pack meeting brings together scouts from every den, their leaders, and their families, to participate in a large-scale event that serves as a showcase for everything the scouts have learned and done in their individual den meetings. The pack meeting gives the scouts a larger experience beyond their own den and helps them to connect their individual activities to the entire Cub Scouting program. The pack meet monthly at Memorial Elementary School in Natick. Typically, the meeting takes place on the 3rd Thursday of the month, but for a full schedule and to see up-coming events, check out the schedule page. The meeting starts at 7pm and usually lasts just over an hour. Cub Scouting is a family program. Pack meetings are for families—parents or guardians, brothers, sisters, and other family members—as well as all the Cub Scouts, den leaders, and pack leaders. We encourage everyone to participate in the pack activities. We start with a brief ceremony which marks the beginning of the meeting. This includes the presenting of the flag and pledge of allegiance. We then welcome new additions and make general announcements. An important part of the pack meeting is formal recognition given to the Cub Scouts who have earned badges, adventure loops, pins or other awards, and the leaders who have earned training awards, religious emblems, or other community awards. The closing ceremony ends the meeting. A den is a group of six to eight scouts within the pack, that may meet once or several times between pack meetings. The scouts in a den are usually all at the same grade level. The den structure allows a scout to build relationships with leaders and other scouts. The den provides opportunities for activities that would be difficult with a large group. The den also provides leadership opportunities for the scouts. The den leaders work with the parents to setup a schedule so that the entire den can meet together. This might be one evening a week or every other weekend. As the cubs scouts advance through the den ranks, more time is required to complete certain achievements. Often, the meeting takes place at a parents home, other times meetings may be arranged at the Police Station, Fire Station, Town Hall etc. depending on the goals of the achievements they are working on. Certain meetings are designated to working on mandatory achievements required in order for the cub scouts to advance at the end of the year. For these meetings it is important that every child attends. Some achievements are elective and for those it is less important. But all activities are designed to support young people in their physical, mental and spiritual development, that they may play constructive roles in society, with a strong focus on the outdoors and survival skills. For Lion and Tiger dens, a child’s parent or guardian must attend. And although it is not mandatory for the other ranks, we ask parents to take an active role at den meetings. At least 2 adults have to be present at every meeting. Required adventures. These adventures are required to advance from rank to rank. Elective adventures. These add to the fun and adventure of Cub Scouting. One elective adventure is required to earn the Tiger, Wolf, and Bear ranks. Two are required to earn the Webelos rank, and three are required for boys to earn the Arrow of Light rank. The Closing draws the meeting to an end. It’s usually serious and quiet. Den leaders could present a thought for the day or give reminders about coming events. For more information about the den, its leader and what to expect from the years activities, click on the den below. A den is a group of six to eight scouts, within the pack, that meets several times a month between pack meetings. The scouts in a den are usually all at the same grade level. The den structure allows scouts to build relationships with leaders and other scouts. The den provides opportunities for activities that would be difficult with a large group. The den also provides leadership opportunities for the scouts. Every Cub Scout pack, Boy Scout troop, Varsity Scout team, and Venturing crew belongs to an organization with interests similar to those of the BSA. This organization, which might be a church, school, community organization, or group of interested citizens, receives a charter from the BSA to use the Scouting program. This chartered organization provides a suitable meeting place, adult leadership, supervision, and opportunities for a healthy Scouting life for the boys and girls under its care. What do Pack Dues & Registration Fees cover? Membership dues and registration fees are necessary so there is enough money to cover the expected costs of providing a quality program. Pack dues cover BSA Fees, insurance, monthly program costs, patches and advancement awards, belt loops, supplies for den activities and pack activities for the scout. Some special programs and outings or council events which are open to scouts but we are not attending as a Pack may have additional costs. There will also be additional costs for each adult and/or sibling attending events. Dues and registration fees are subject to change each scouting year. Currently, our registration fees are $75 per Scout per year. What Fees were paid at the Pack Orientation Meeting? Most new scouts register and pay the BSA dues at the 1st pack meeting. Though this money is collected by the Pack Treasurer – these fees go directly to the local council and do not support any activities in our Pack. Returning scouts will need to submit BSA dues to the Pack Treasurer for rechartering by the first Pack meeting. To maintain a lower fee for dues, we will ask for assistance and participation in our only fundraising activity throughout the year called the Wreath and Candle Sale. Scouts and pack families sell Christmas Wreaths and Chanukah Candles to enable the year’s long fun. The official uniform shirt is available with long or short sleeves and has button-flap pockets and “Boy Scouts of America” lettered in gold above the right pocket. Official navy-blue web belt with metal buckle and Tiger, Cub Scout, or Webelos Scout emblem. Official socks are available in three lengths: ankle, crew, and knee. Tigers’ socks are navy blue with orange tops. Cub Scouts’ socks are navy blue with gold tops. Official navy-blue cap with orange front panel and tiger cub emblem for Tigers; yellow panel and wolf emblem for Wolf Scouts; blue panel and bear emblem for Bear Scouts. Webelos Scouts wear an olive cap with a plain panel bearing the Webelos logo. Triangular neckerchief is orange with navy-blue trim for Tigers, gold with navy-blue trim for Wolf Scouts, light blue with navy-blue trim for Bear Scouts, and plaid for Webelos Scouts. Official BSA neckerchiefs are the only neckerchiefs that Scouts should wear. Packs should not make their own pack neckerchiefs. Official gold-tone metal slide with the Tiger, Cub Scout, or Webelos Scout logo. Scouts may wear handmade neckerchief slides. As the cub scouts reach their achievements, they are awarded belt loops or pins (depending on level). These are handed out at the start of each pack meeting by either the awards chairperson, cub master, or den leader. The Natick Service Council is an independent, non-profit organization that connects, engages and collaborates with the community to support Natick neighbors who are experiencing hardship or economic uncertainty by promoting self-sufficiency. Each Den has a requirement that includes some component of service to others. Collectively as a pack, each scout has an opportunity to participate in helping the community through The Natick Service Council activities. Scouting for Food is an ongoing annual program of the Boy Scouts of America, begun in 1985. The program involves collecting for local food banks, like The Natick Service Council. It is organized at the local level throughout the country. Scouting for Food is a project rooted in the very foundation of the Scouting movement and its dedication to implement the Scout Slogan and do a good turn daily. 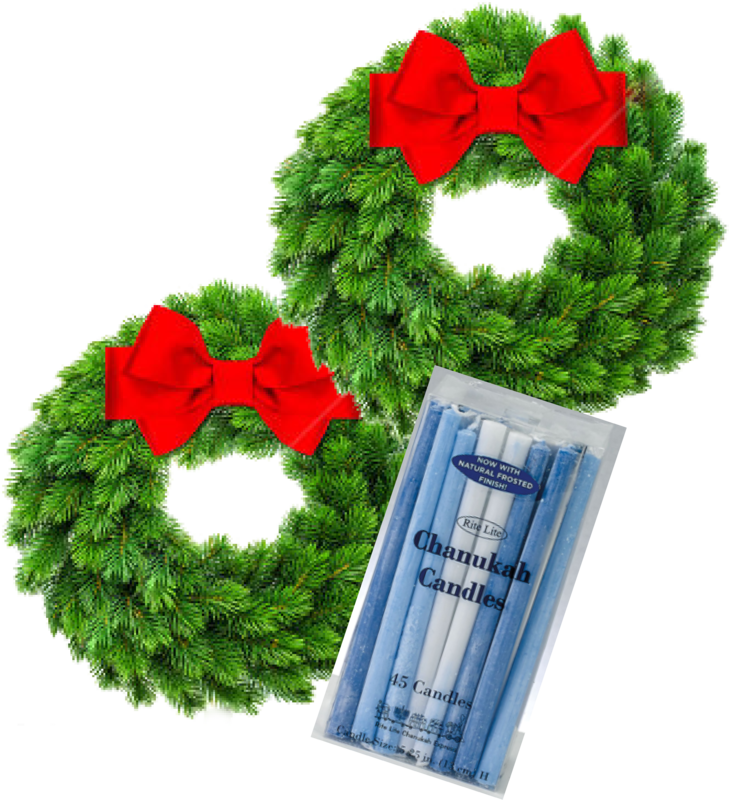 The Wreath and Candle Sale is our pack’s ONLY fundraiser of the year. The proceeds of the sale go directly to the pack to fund many of the pack activities including our yearly Nobscot BSA Reservation campout, awards, the Blue and Gold dinner, and other special pack events. We kick off the sale during the October Pack meeting. Each scout will have 2-3 weeks to collect orders for Christmas Wreaths and Chanukah Candles through November with delivery around Thanksgiving. Each year we award special prizes to the top three scouts with the highest individual sales. Most people love the yearly tradition and look forward to ordering their Wreaths and Candles to kick off their holiday season. Most Cub Scouts find it’s easy to sell these items because people want to support their local pack and need these items as part of the holiday celebration.